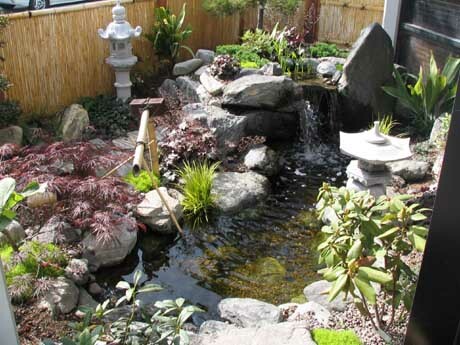 Aqua Eden has been very fortunate to get the opportunity to work along side Exotic Aquatics™ and The Pond Diggers™ pond installation crew. The owner, Eric Triplett, and his “Pond Digger” crew answered all of my many questions. 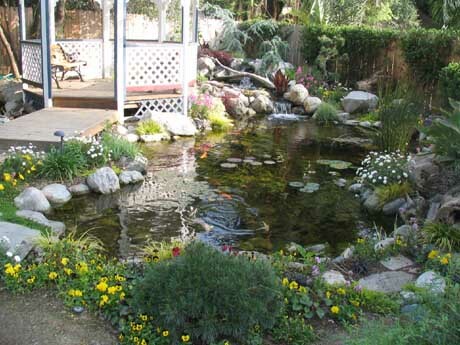 The Pond Diggers™ are very professional and take pride in every pond that they created. Pond installation with The Pond Diggers™ was often very labor intensive. I can honestly say I loved every minute of it. 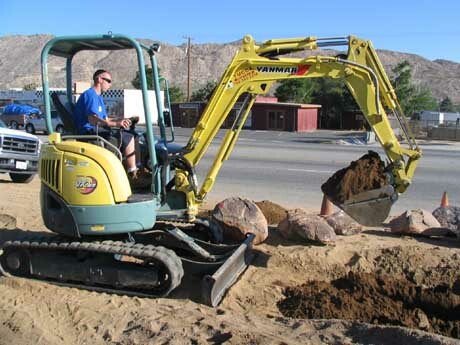 When you get a chance to work with such a great team of people you forget the fact that the hot California sun is beating down on you while you are hauling large boulders. 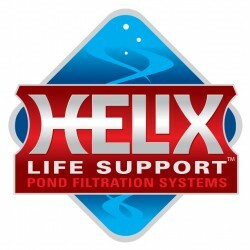 My time with The Pond Diggers™ was very inspirational and I am look forward to working with Exotic Aquatics™ and The Pond Diggers™ crew in the future. 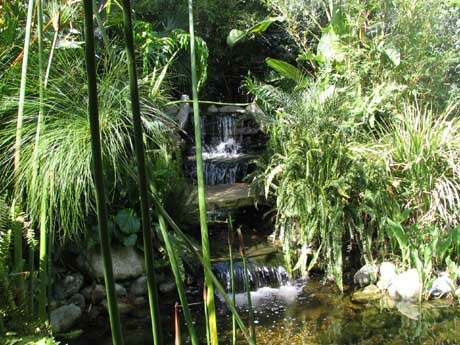 Eric Triplett’s (owner of Exotic Aquatics) personal home pond. 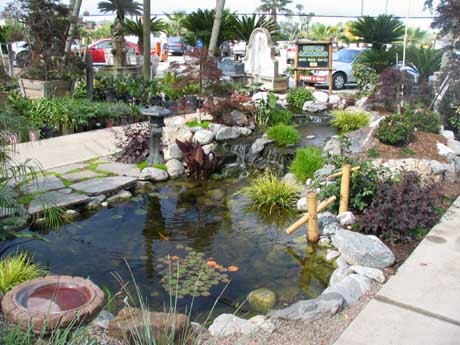 Display pond at a local Nursery. The Japanese theme waterscape outside of Eric’s office window. 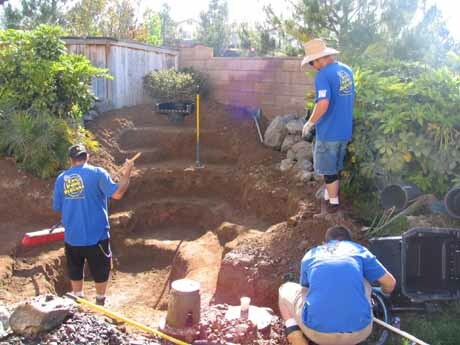 Excavation of a Pond-less Waterfall. Me tamping the hole for the Pond-less Waterfall basin. Finished project. 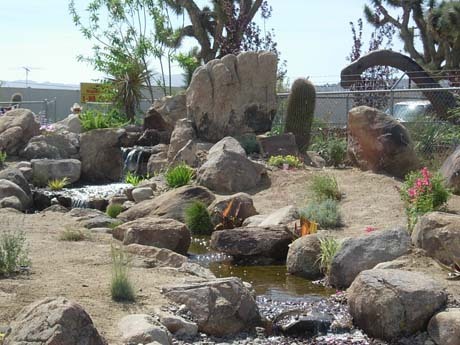 This was a display pond at a local nursery with a prehistoric theme. They will be adding a giant T-Rex standing next to the stream.